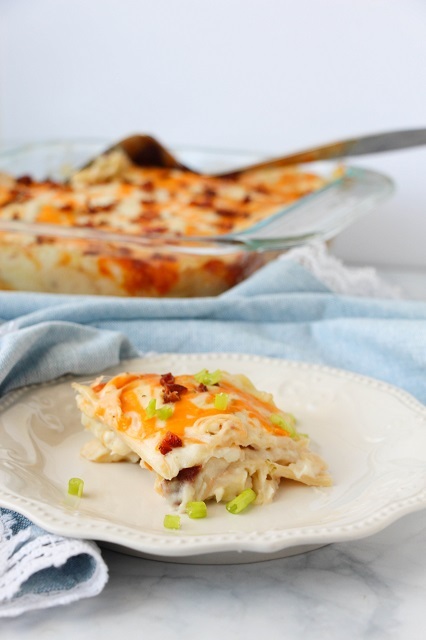 Pierogi Lasagna is made up of wonderful layers of fluffy mashed potatoes, bacon and cheeses in between lasagna noodles. It’s serious comfort food at it’s best. Pure comfort food at it’s finest! This is my new favorite lasagna! 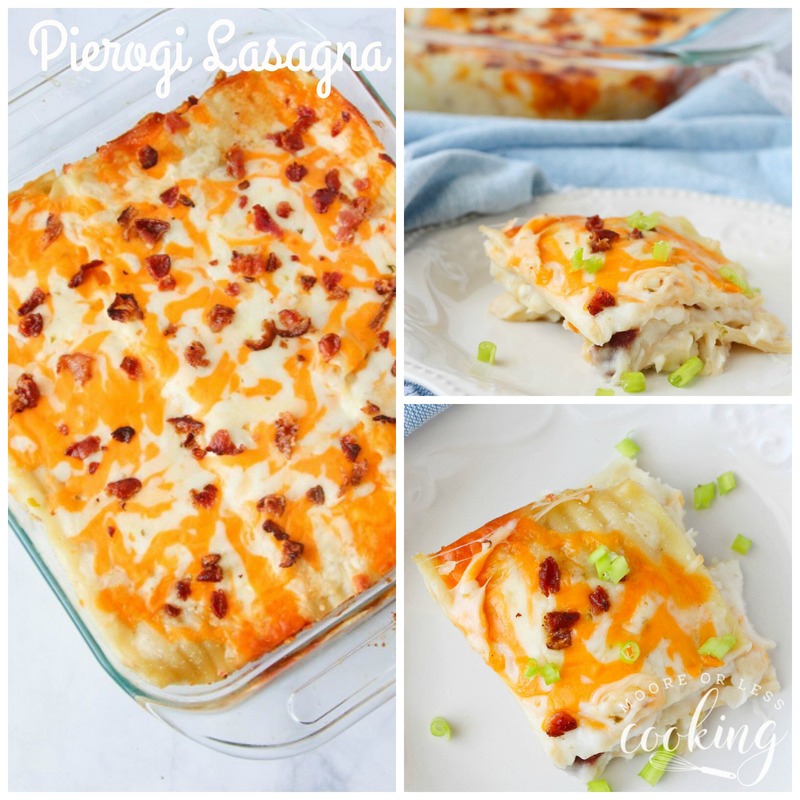 Anything with the word pierogi always gets my attention! When I was a young girl, I looked forward to the days that I would help my Grandmother make dozens upon dozens of pierogis. There would be hundreds of them stacked up on the dining room table. It was a sight for sore eyes. Eating a plate of them smothered with onions and a dollop of sour cream tasted like heaven to me. Pierogies are heartwarming, rib-sticking dumplings filled with cheese, onions, bacon, and potatoes. Typically taking all day to make, this time-saving version produces just-as-delicious results. 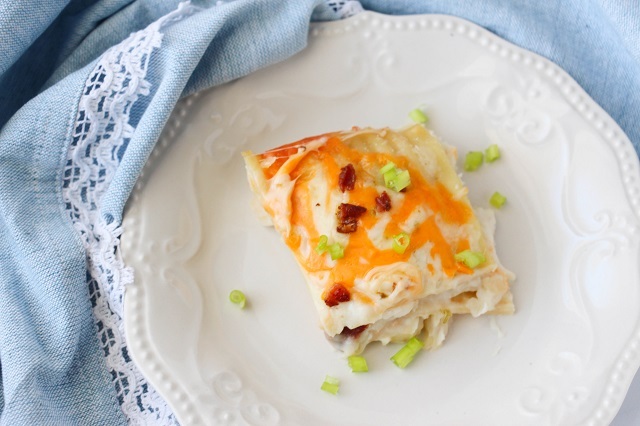 If you love hot, cheesy potato pierogies then you’ll love this Cheesy Pierogi Lasagna with bacon and garlic! 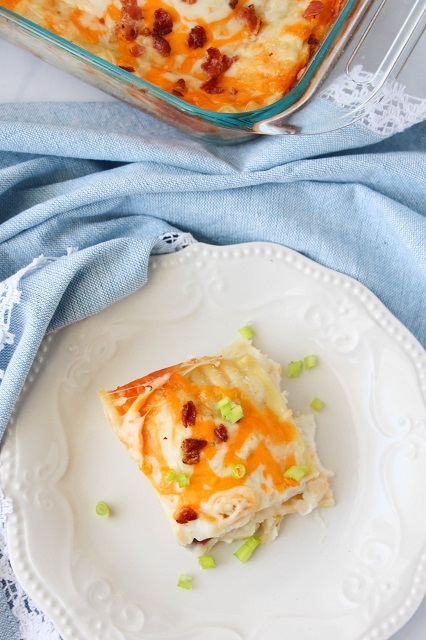 It’s everything you love in a pierogi but in the perfect potluck-friendly casserole. 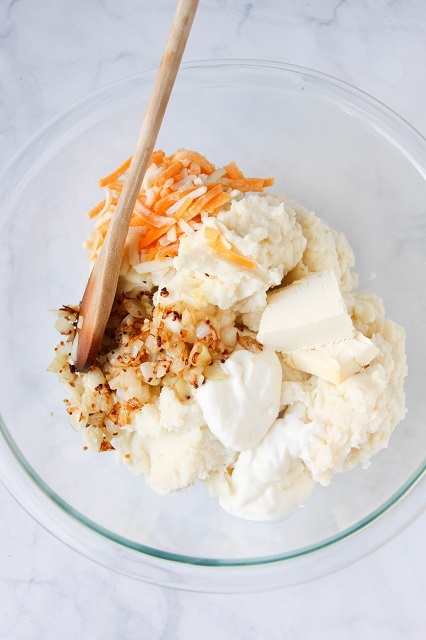 Would you like my recipe for the Best Mashed Potatoes? Here you go! 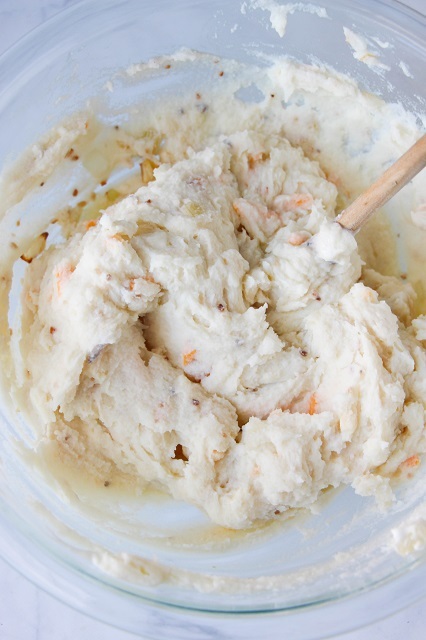 My favorite Mashed Potatoes Recipe. into the mashed potatoes. Crumble and add 2 slices of the cooked bacon. Mix all of the ingredients until combined. 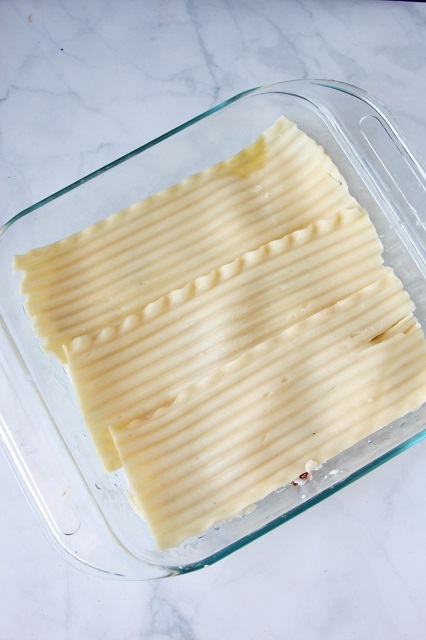 Line or grease your casserole pan and lay down a layer of cooked noodles. Spread an even layer of the potato mixture over the top of the noodles – about 1 1/2 cups. Add another layer of the lasagna noodles, then the remaining potato mixture, and a final layer of noodles. 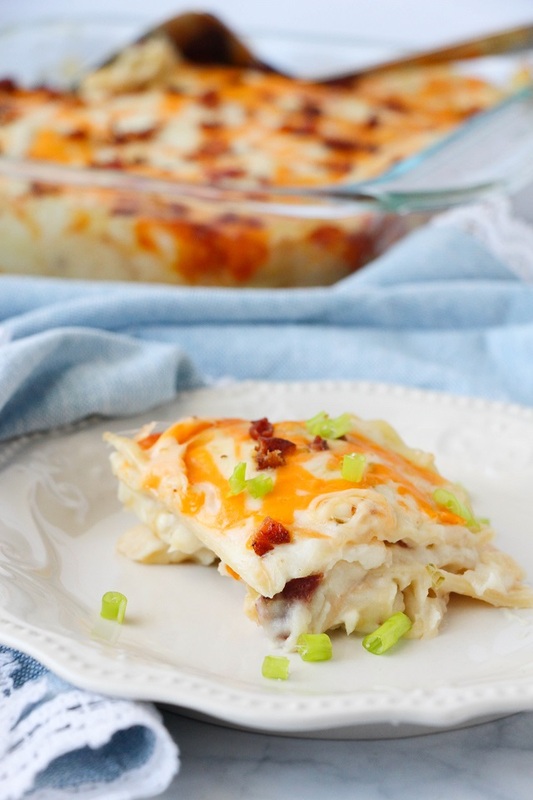 Top with the remaining shredded cheese and cover with tinfoil. Bake for 30minutes or until the lasagna appears to be cooked through. 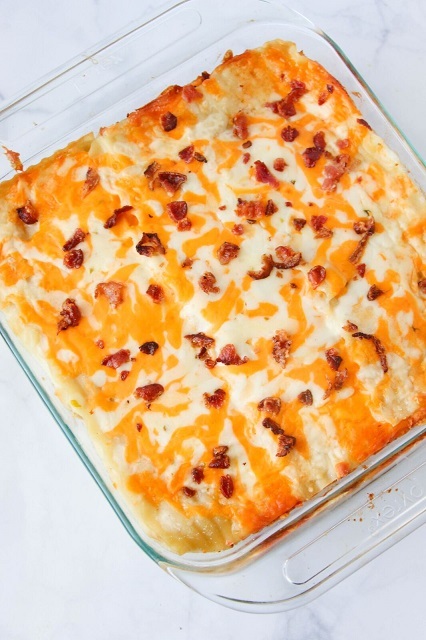 Remove the tinfoil and crumble the remaining strip of bacon over top of the lasagna. 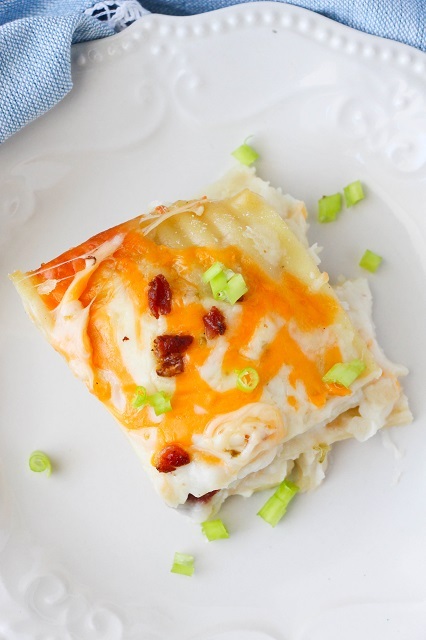 Cook for an additional 3-5 minutes to get the cheese nicely melted. ingredients. If using regular noodles, cook them according to package directions. 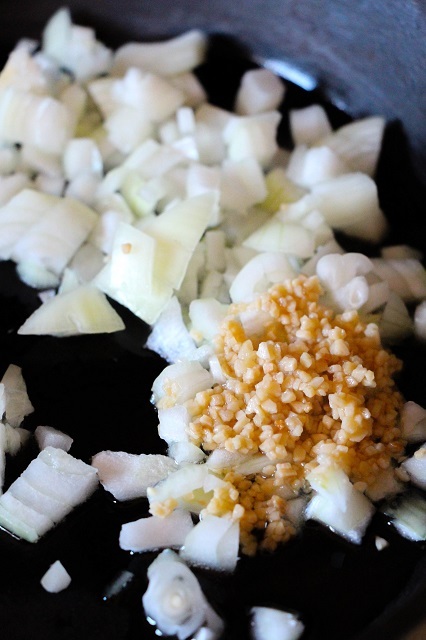 Cook the bacon in a skillet until fully cooked and then remove to a paper-lined plate. 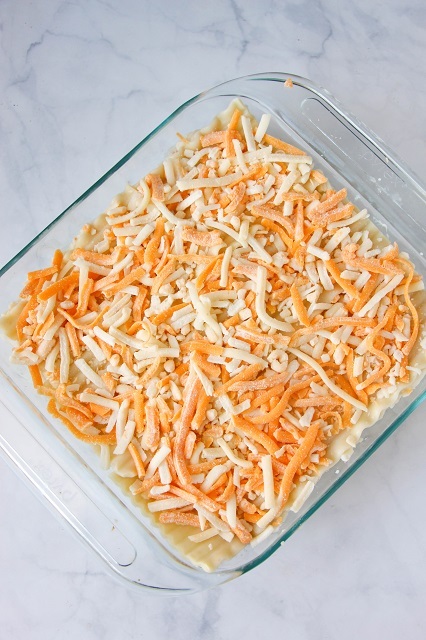 Line or grease your casserole pan and lay down a layer of cooked noodles. Spread an even layer of the potato mixture over the top of the noodles - about 1 1/2 cups. and crumble the remaining strip of bacon over top of the lasagna.